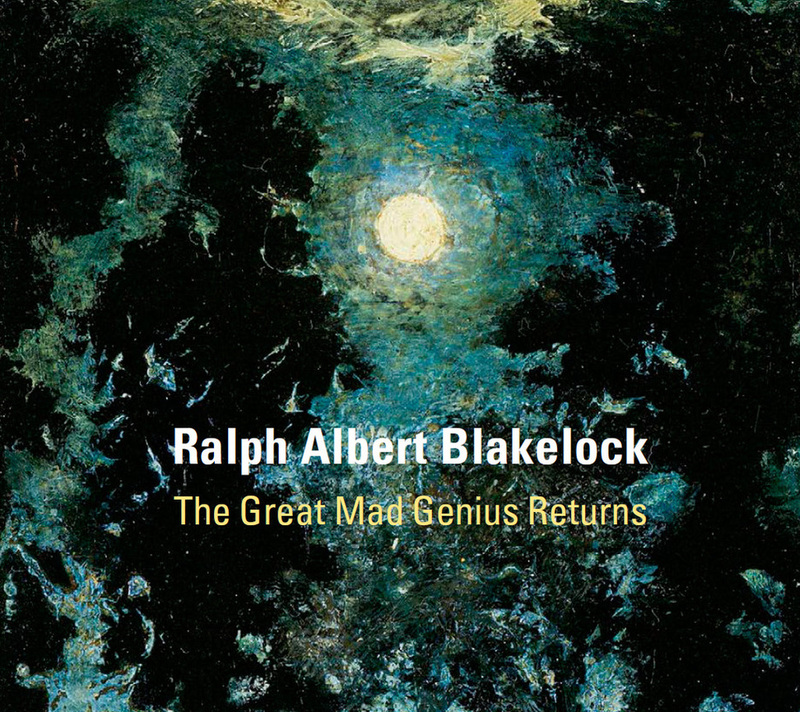 FADA member Questroyal Fine Art's highly anticipated show, “Ralph Albert Blakelock: The Great Mad Genius Returns,” was profiled in the New York Times. The exhibition is on view until December 10th. 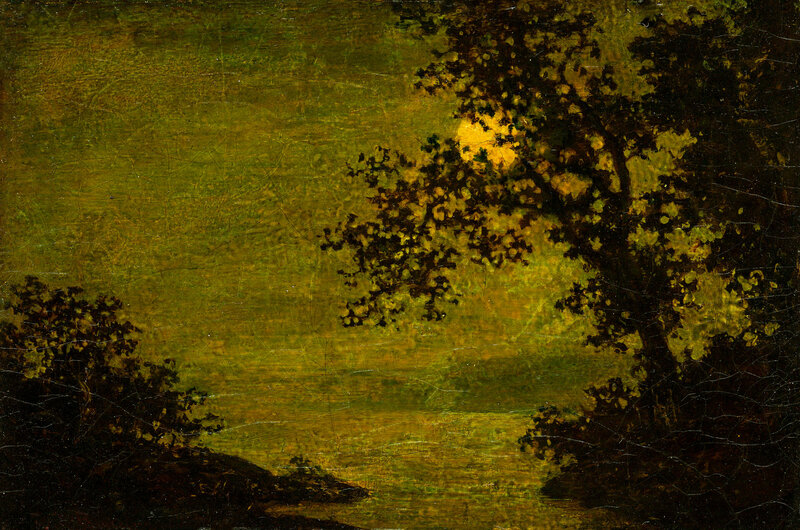 Although the landscape painter Ralph Albert Blakelock spent two decades in mental hospitals in and near New York, he still managed to keep working. Starting around 1900, as he cycled in and out of lucid periods at the hospitals, he captured scenes of moonlit skies, glades of leafless trees and multicolored streaks of clouds. For art supplies, he had to forage. He dismantled window shades and wooden cigar boxes to create fabric and panel backings for his paintings. He formulated watercolor pigments with tobacco juice. His paintbrushes were made from cat hair that he wired into bundles. Mr. Blakelock, a son of a British immigrant carpenter, grew up in Greenwich Village in Manhattan. In the 1860s, he toured the American West, where he painted tableaus of American Indian dancers, tent encampments and horseback riders. At 29, he married Cora Bailey, a daughter of a prosperous varnish manufacturer in Brooklyn. The couple had 10 children, and they shuttled among the homes of various relatives. Although he painted prolifically, he drew little attention from dealers, critics, curators and patrons. The demands of supporting his family aggravated his psychiatric problems, the journalist Glyn Vincent said in a 2003 biography, “The Unknown Night: The Genius and Madness of R. A. Blakelock, an American Painter.” Mr. Blakelock began grandiosely adding price tags of millions of dollars to the backs of his paintings. He based his images on scratches in his enameled bathtub; started carrying around an antique dagger; and draped himself in embroidered sashes and belts with trimmings that his wife described as “long strings of beads and trinkets of all sorts.” He was removed from his family home and taken to an institution for the final time on the same day that she gave birth to their 10th child. Around 1915, a young New Yorker who loftily called herself Beatrice Van Rensselaer Adams started visiting him at the hospitals. (Her real name was Sadie Filbert Adams.) She described herself as a philanthropist, and she promised to help the destitute Blakelock family by marketing his works. But she actually used proceeds from the sales of paintings to pay for her hotel bills, “her staff of assistants, her fashionable clothes and costly luncheons about town,” Mr. Vincent wrote. Mrs. Adams isolated Mr. Blakelock from his relatives and friends; sometimes she refused even to let them know where he was. She occasionally encouraged him to paint, in the hopes of generating some valuable masterpieces. (In his lifetime, collectors resold his paintings for thousands of dollars each, but he did not benefit.) Mrs. Adams, as she gradually fell under suspicion of abusing him physically and financially, returned Mr. Blakelock to one of the mental hospitals. When she dropped him off, he was emaciated and shivering; a few months later she retrieved him. In 1919 he died mysteriously while in her care, with bloody wounds on his face. Ms. Platt said a few paintings have remained in family hands, including works by Marian Blakelock, a daughter of the artist who also became a painter and ended up institutionalized. (Unscrupulous dealers sometimes added her father’s forged signature to her canvases.) Mr. Salerno keeps finding more of Mr. Blakelock’s works to add to Questroyal’s inventory and his private collection. Among his recent auction acquisitions is a view of a moonlit glade that turned up in July at Bruneau & Company in Cranston, R.I. (It sold for $6,000.) The provenance paperwork shows that it had originally belonged to an artist who had known Mr. Blakelock, often imitated his works and came under suspicion for being one of the forgers who copied him. The University of Nebraska-Lincoln maintains an inventory of Blakelock paintings, which currently lists about 580 works that have been firmly attributed. It is based on five decades of research by the art historian Norman A. Geske, who died in 2014. Katherine L. Walter, the principal investigator for the database, said research was continuing into the provenance of paintings that have been authenticated, as well as of those that are still in attribution limbo. A version of this article appears in print on October 28, 2016, on page C24 of the New York edition with the headline: Moonlit Landscapes From a Painter’s Years of Desperation.